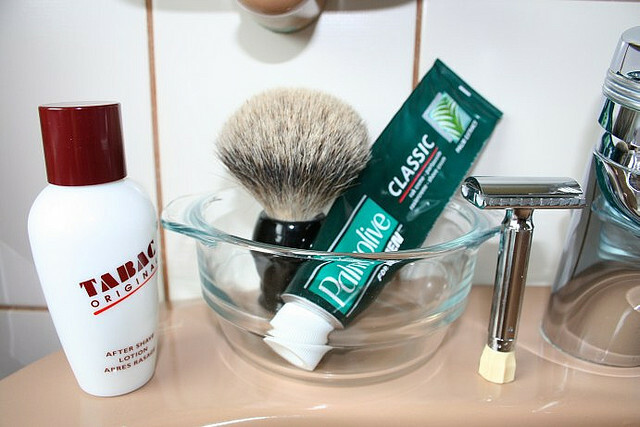 How Can You Get The Perfect Shave? First things first you need warm water, this is key to a quality shave as it reduces the cutting force required of the blade to cut through your hairs. The smoother the razor as it cuts through your stubble the less irritation you will suffer after the shave. Experts say that nothing softens hair as well as the combination of steam and hot water. This is why a shower is the ideal pre-shave preparation. Before you grab your shaving foam or shaving gel use a facial wash, this removes any grease or grime from your skin while you massage your skin with your finger tips. Using a facial wash is a very quick and simple process but it can make a huge difference to your shaving experience by lifting hairs and freeing any trapped ones resulting in a smoother and easier shave. When using your razor remember you are not grating cheese, the way in which razors are designed means that very little pressure is required. Don’t push the razor across your skin, allow it to glide. If you are using a lot of pressure when using your razor as this is the only way to get the close shave you want it means it’s time to replace the razor blade. If you choose to have a break from shaving over the weekend then you may find on Monday morning that you have nearly three days worth of growth and this can be a nightmare to shave. If you like a break from shaving over the weekends then you may consider purchasing a razor that has a micro-comb feature. This will help to gently glide longer hairs into the blades as the longer the hair, the higher the risk of the razor blade gliding over them leaving them un-cut. A blades life does partly depend on how often you shave and the thickness of your hair but you can prolong the life of your blade by rinsing your blade under warm water during and after each shave and then storing it in the upright position. Tapping your razor on the side of the sink or cleaning it with an old toothbrush can cause damage to a razor blade. On average you should expect to change a razor blade every fourteen uses. After you shave make sure you moisturise. Moisturising your skin doesn’t just make your skin feel and look better but it also gives you a smoother surface to shave from and will have a long-term benefit on your shaving process. Experts recommend that you moisturise twice a day, ideally once after shaving and once before bed. Following these top tips will give you the perfect shave, every time. This blog piece was brought to you by Conner Short, currently working with Juvenci Conner has a wealth of knowledge in men’s grooming and styling.